When I first booked the tickets to Fiji, I could feel my heart flutter with a mixture of both excitement and nervousness. Sure, I had travelled with my girls before, but they had been quick trips interstate. An international trip seemed so much more daunting – yet I also couldn’t wait to visit the Fiji Islands. At the time of our Fiji vacation, my eldest was two years old and my youngest just eight months. 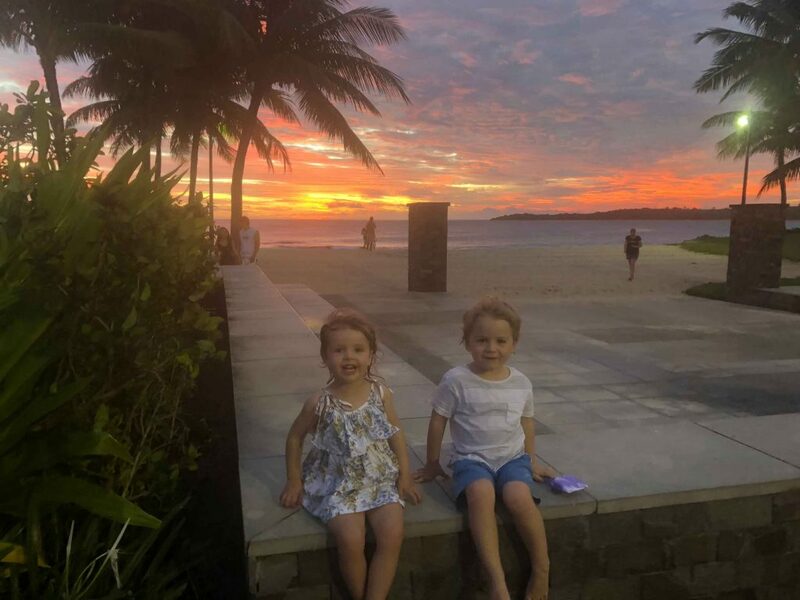 For our Fiji family holiday, I was travelling with my brother, two of his kids and my parents, so despite the fact my husband was unable to make it with us, I knew I had plenty of help. It was meant to be a big family holiday, but due to a number of factors, including my sister-in-law falling pregnant and being unable to travel due to the Zika virus risk in Fiji (definitely look into this if you planning on travelling to Fiji when pregnant), our group dwindled off to a nice small number. 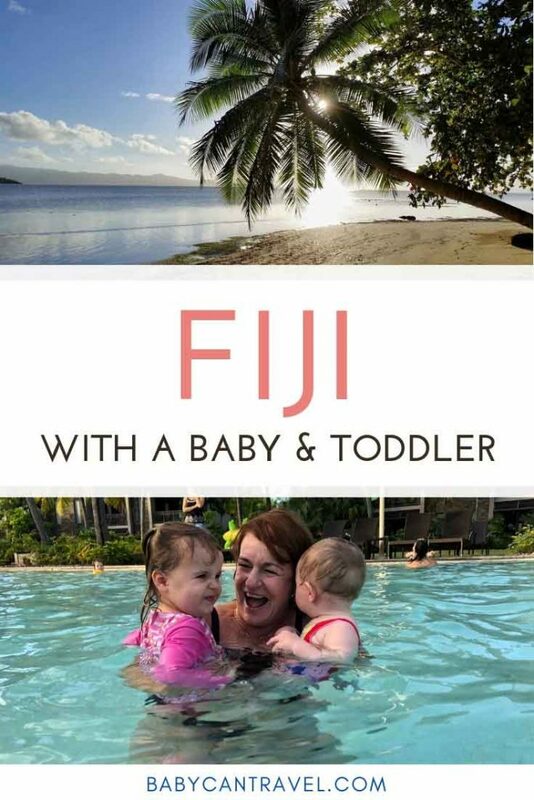 I learned so much from this first trip travelling to Fiji with a baby and a toddler that we are all set to return again this year with an extra baby (due in May) and my husband this time as well. I know, I know, this goes against most tips for travelling with a baby or toddler, but all the baby essentials, such as nappies, wipes, creams, formula, are so much more expensive in Fiji. The price mark-up is just crazy and you will find yourself cringing when you hand over that money, knowing what it costs back in Australia. While the extra luggage can be tricky to handle when travelling by plane with a baby and toddler, it is worth it in the long run. If you are feeling a little daunted by how much you need to pack (see above! ), consider renting the baby equipment you’ll need. This service is pretty well-priced. You can get everything you need for travelling with a baby and toddler, from strollers and prams to car seats and more. They will meet you at the airport or you can have it delivered to your Fiji accommodation. You can find out more here. I actually found babywearing the easiest way to get around the resort with a hefty little one as there were plenty of stairs around our Fiji hotels which made the pram inconvenient. While the flight may not seem long (Sydney to Fiji flight time is about 4 hours), it is always nice to reach your destination and have someone ready to pick you up and take you to your hotel. We didn’t plan on driving around anywhere ourselves, so didn’t bother travelling with baby car seats, but we arranged them with the transfer so we could buckle all the kids in safely. If you have organised a transfer, it’s the perfect opportunity to ask them to take you to a supermarket on the way to your hotel. If your kids are anything like mine, they love snacking, and this can get expensive in the hotel. We stocked up on cereal and other staples (so we didn’t have to rush to breakfast for the kids each morning), which saved us plenty in the long run. Here are a few more baby travel essentials and toddler travel essentials to pack along for your trip! 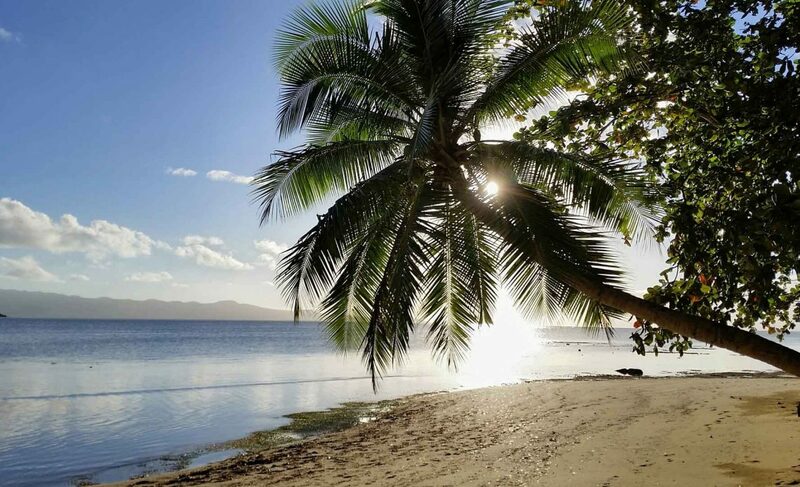 While you may have your sights set on seeing as much of Fiji as possible, it really is more of a relaxing beach holiday, so it is important to enjoy it as such. We stayed at the Sheraton in Denauru first for two nights, then we moved to the Intercontinental on the Coral Coast for another seven nights. Changing Fiji resorts was a hassle with kids. You really do lose a whole day of your holiday being transported, not to mention having to pack and unpack multiple times. It actually added stress to our trip. Next time we will be choosing the best island in Fiji for families and staying there. 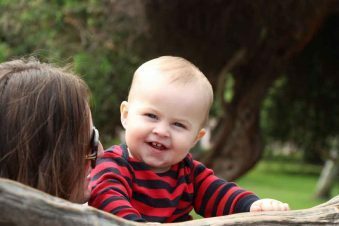 Many parents hesitate at this option feeling a mixture of guilt at not spending time with their kids, as well as taking their time to warm up to the idea. 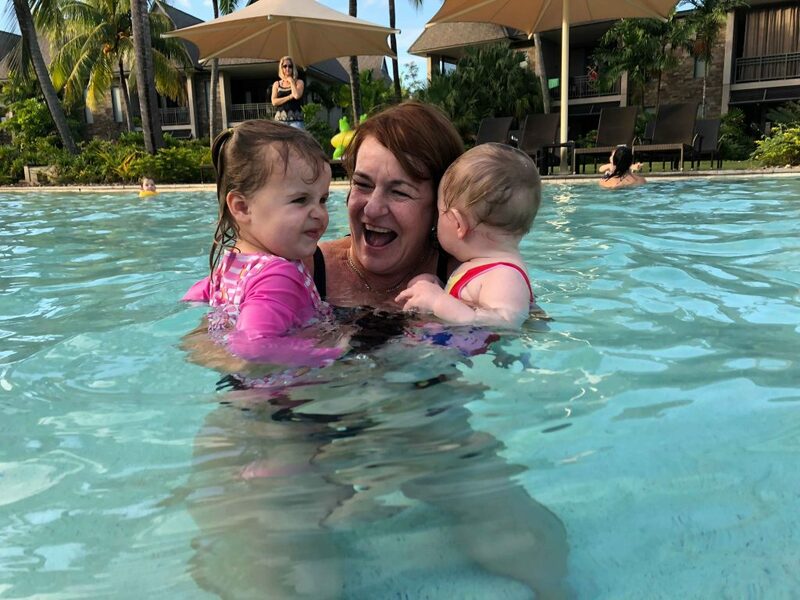 If you are travelling to Fiji with toddlers or a baby, half your holiday will be gone before you know it and you will realise how much you missed out on. The best Fiji resorts for toddlers and babies will have nannies and the nannies are fabulous. Both my girls loved them so much. They had time with a nanny each day, then we had time together as a family each afternoon. It was the best of both worlds. You usually organise one through the hotel, and if you like them, just ask them back each day. 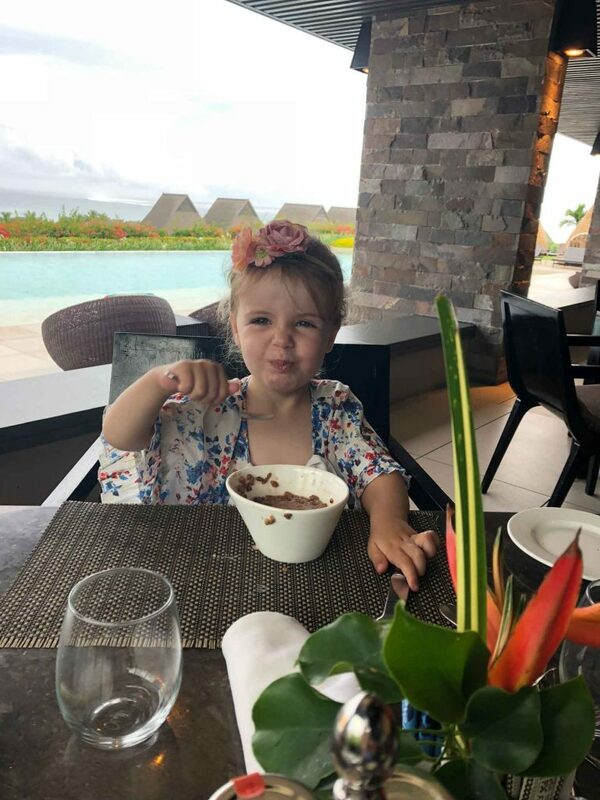 There is also the option of kids club at most Fiji family resorts, but this is usually from the age of four and above, where you can drop them off and sign them in for the day. Our nanny still took both girls to the kid’s club and simply stayed with them while they were there. You can find more tips on taking a baby to an all-inclusive resort here. This is what Fiji is all about. Relaxing, unwinding and enjoying yourself. Don’t try and cram yourself into a busy schedule that will exhaust both the kids and you. Go swimming, lie in the sun and enjoy cocktails by the pool. One of the best parts about a beach holiday with a baby or toddler is slowing down to enjoy your time spent together. 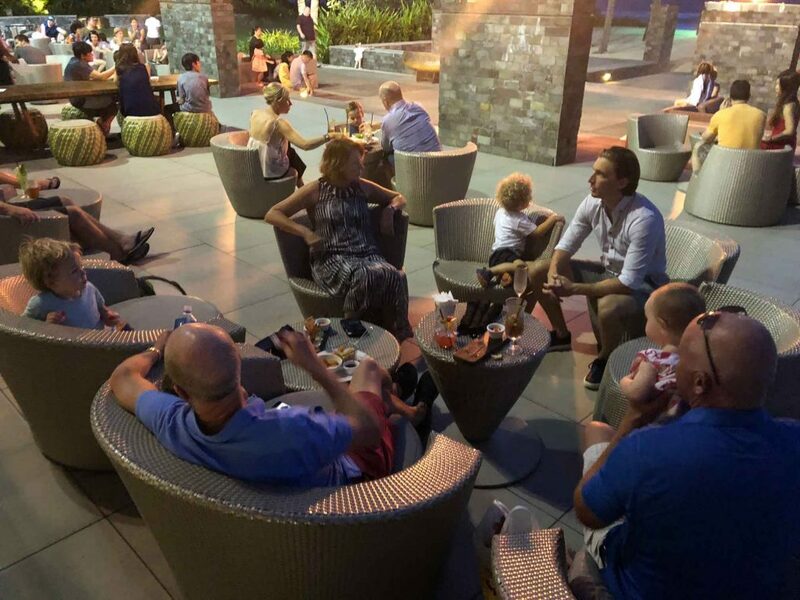 If you are itching for some activities, hotels often give out sheets each day with a list of planned activities that can be anything from Kava tasting to pool volley ball. We had such a great time and it was all over way too quickly. 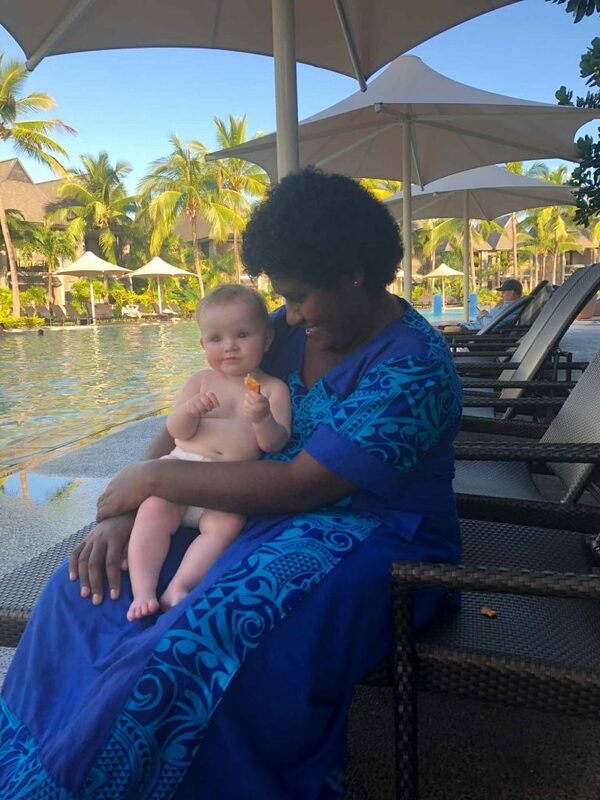 I can’t wait to head back this year and do it all over again with these tips for travelling to Fiji with a baby in mind. Let the relaxation begin! Thank you to Felicity from The Baby Vine for this guest post! Felicity is mum to her two daughters, Cassandra (3) and Vivienne (1). Her passion is the parenting industry and creating a community where everyone feels welcome no matter how they choose to parent. It is this passion that led to the creation of The Baby Vine.